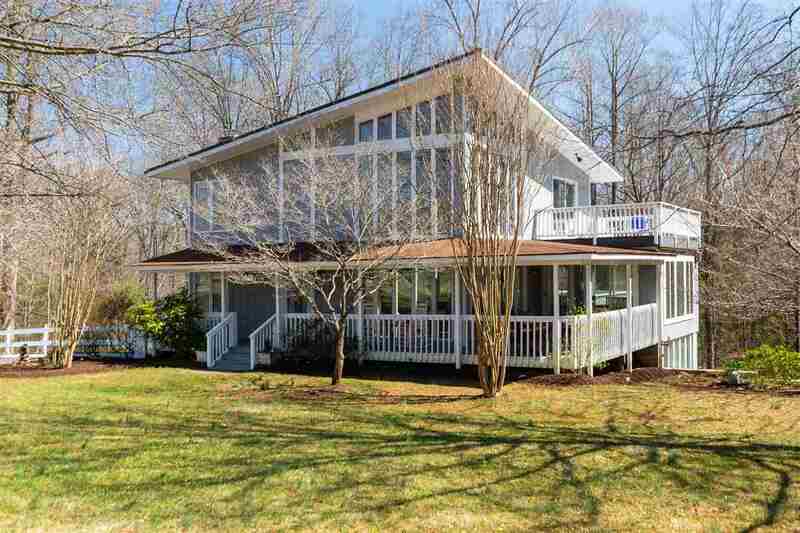 Roy Wheeler Realty Co. MLS# 588582 - 559 Covered Bridge Dr, Madison, VA 22727 - Roy Wheeler Realty Co. Courtesy of ROY WHEELER REALTY – DOWNTOWN. AMAZING home, beautifully maintained with so many good spaces to relax and enjoy your life. New floor-to-ceiling windows, solid wood construction, mountain views, wrap-around porch, loft master suite with attached bath and exterior private deck, enclosed back porch and fenced back yard and whole house water filtration system. Lots of finished space in lower level with new pergo floors, built-in book shelves, theater area, game room, full bath, workshop and so much more. Directions: From Charlottesville: Rt 29 North to Right on Fishback Rd. for approx 1.5 miles then slight RIGHT onto Oak Park Rd then LEFT onto Malvern Dr. turn RIGHT onto Covered Bridge Dr to home on the left.